I love the Winter months when days get shorter and nights grow colder. It’s my time to explore the music and lyrics of decades past and genres unknown. For a few hours a week, I can tune out and tune in. When I first started exploring the behemoth that is jazz (and, trust, I’m still a novice) one of the first musicians I was introduced to was CHARLIE “BIRD” PARKER thanks to a movie starring Forest Whitaker. The movie was good, but I was so intrigued with BIRD that I started listening to everything I could get my hands on. 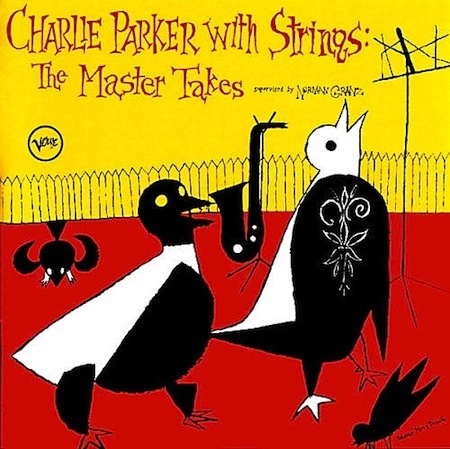 The Master Takes is one of my favorites because BIRD went against the conventional wisdom of his peers and recorded with a string orchestra. It was considered a sellout moment for BIRD, but his talent rose above and this 1950s recording is now a jazz essential.